Argabright Contractors is proud to have been providing Virginia with quality construction for 50 years. To this day, our commitment to quality and exceptional value continues to be the foundation of our building process. We measure our success by the satisfaction of our homeowners. Proudly, many of our happy homeowners have referred friends and family members to us. Discover what makes Argabright Contractors one of the favored builders in the Southwestern Virginia area. 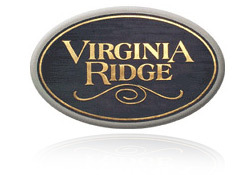 Our present offerings can be found in Virginia Ridge of Hardy, Virginia and Chapel Woods located in Bedford County, Virginia. Visit these areas of our web site to discover your "place, not far from the city".